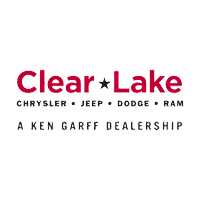 Enjoy the renowned RAM lineup of trucks at a reduced price thanks to our rotating inventory of 1 new RAM specials at Clear Lake Chrysler Dodge Jeep Ram. Browse our 1 new RAM pickup and heavy duty truck special offers to find lease and finance deals in Houston. Find a RAM special that will help you take advantage of the light and powerful RAM 1500 — previously known as the Dodge RAM 1500 — at a reduced price, and see why this class-leading pickup has earned such a reputation for reliability. Beyond our rotating inventory of new RAM specials on sale in the Houston area, there are numerous reasons to shop for your new RAM with us at Clear Lake Chrysler Dodge Jeep Ram. Here are just a few. Get in touch with us if you have any questions about our RAM specials or any of our other Houston RAM dealership offerings!